A U.S. Coast Guard lieutenant arrested last week on weapons and drug charges is a white nationalist who apparently had a hit list of Democratic lawmakers and activists as well as prominent media personalities, federal prosecutors said Wednesday. In a motion for pretrial detention filed in federal court in Maryland, authorities said Lt. Christopher Paul Hasson, 49, was arrested Friday and charged with unlawful possession of a firearm and an opioid called Tramadol. However, the filing described the charges as "the proverbial tip of the iceberg," and referred to Hasson as "a domestic terrorist" who meant to "murder innocent civilians on a scale rarely seen in this country." The filing was first noted by researchers from George Washington University's Program on Extremism. Prosecutors say Hasson regularly read a manifesto written by Anders Behring Breivik, a Norwegian far-right extremist who killed 77 people in a pair of 2011 terror attacks, and stockpiled weapons and ammunition. 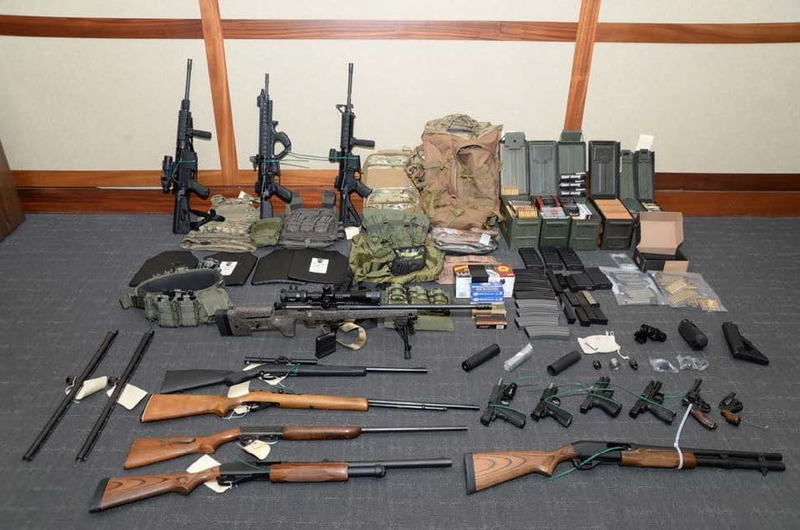 According to the documents, federal agents recovered 15 firearms and "conservatively" more than 1,000 rounds of ammunition from Hasson's "cramped basement apartment" in Silver Spring, Maryland. According to the document, Hasson organized a spreadsheet of so-called "traitors" that he subdivided into three categories: A,B, and C. So-called "Category A" traitors included Democratic Sens. Chuck Schumer of New York, Tim Kaine of Virginia, Richard Blumenthal of Connecticut (referred to as "Sen blumen jew" in the spreadsheet), Elizabeth Warren of Massachusetts (referred to as "poca warren") Kirsten Gillibrand of New York, Cory Booker of New Jersey and Kamala Harris of California. Also listed in "Category A" were House Speaker Nancy Pelosi, D-Calif., Rep. Alexandria Oscasio-Cortez, D-N.Y., Rep. Maxine Waters, D-Calif., MSNBC personalities Joe Scarborough, Chris Hayes, and Ari Melber as well as CNN host Don Lemon. Names in the "Category B" list included Rep. Ilhan Omar, D-Minn., CNN personalities Chris Cuomo and Van Jones, and the Democratic Socialists of America. Prosecutors say Hasson Googled topics including "what if trump illegally impeached," "best place in dc to see congress people," and "civil war if trump impeached" roughly a month before his arrest. Just seen that on the news. Pissed me off that they didn't let him cap the first 5 or 6 on his list. Just to make sure he was going to go through with the claim. Well, CNN will be overjoyed, now that the Smollett situation has completely disintegrated. More than 1000 rounds of ammo? Big deal. Great, he’s giving the gun-grabbers what they want. The VA hands that **** out like candy. They gotta be seriously reaching if that's on the charge list. did the F.B.I. do this investigation too; if so, I'll definitely withhold judgement . . . Terrorists inspired by Nationalist and Right Wing ideology have killed about 10 times as many people as Left Wing terrorists since 1992. So he read Breiviks manifesto … Lol. 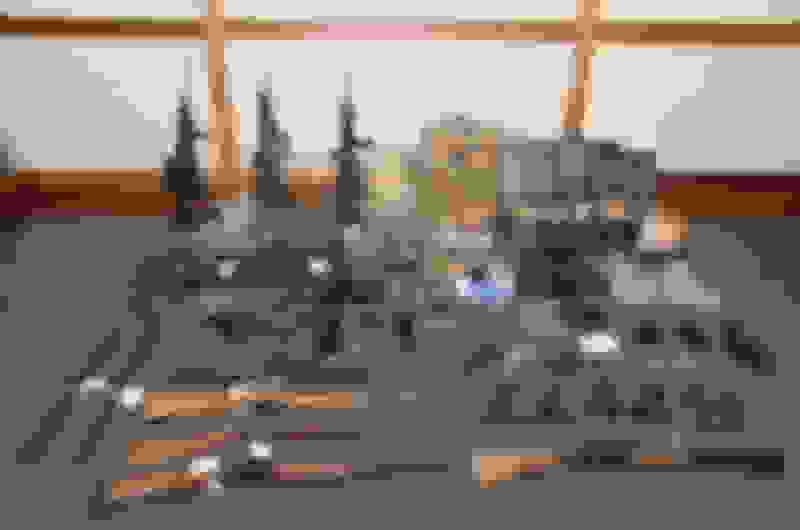 Last edited by BadUmp; 02-20-2019 at 07:49 PM. Arrested last week and just getting the "story" out now. Nah, this doesn't smell like (deflection) ****. This **** is what scares me about fake news calling conservatives racists, homophobes, traitors, etc. 24/7 on the MSM. How many more crazies are they pushing over the top with their rhetoric? It's almost like the MSM is trying to push people over the edge. Nothing more than a decent variety and ammo for range time. To a non-gun person this probably looks like an impressive "cache". But to anyone with a clue... just your average closet. I'd call that a starter kit. Maybe the reason it seems so lopsided toward right wing terrorists is because it seems that if a left winger or a moslem terrorist does it it is reported and recorded as a mentally ill person or workplace violence. Or ideology is undiscovered, or at least reported that way, as in the Las Vegas shooter. Ya think??? That's exactly what they are hoping for. They probably already have the story written except for filling in the name, time, place, and body count. Fox news article says he had a 3D printed gun. I'll bet this has as much to do with that as anything else. I'll bet without that he wouldn't have caught the eye of law enforcement.